Our opening keynote session sets the stage for the rest of the conference with presentations & discussion of two of our main themes: engaging customers, and collaborating with colleagues. Prolific blogger and Twitterer Jeremiah Owyang may communicate with more companies on the use of web and social software technologies for connecting with customers than any other individual. Jeremiah has been involved in interactive marketing both as a Web marketer and an analyst at Forrester and now at Altimeter Group. If you want to know how companies are actually using social and web tools to engage with customers, Jeremiah is the go-to guy. Strategist and Author Dan Rasmus has been studying the knowledge worker workplace as an analyst, consultant, and at Microsoft for decades, and has deep insight into how it has, and will continue, to change. Dan will be talking about two critical areas of collaborating in today’s, and tomorrow’s, workplace: cross-border, cross-culture collaboration practices, and how to design workplace experiences that will buffer people from complex changes that will likely take place in the future. We invite industry analysts from different firms to speak at all our events to make sure our conference attendees hear differing opinions from a wide variety of expert sources. A second, third, fourth or fifth opinion will ensure you don’t make ill-informed decisions about critical content and information technologies or strategies. This session will be a lively, interactive debate guaranteed to be both informative and fun. The Customers & Engagement track kicks off appropriately with a focus on our collective audience: the consumer. The experts on this panel have dedicated their careers to understanding the mindset of users, creating top-notch customer experiences both on and off the web, and engaging customers and prospects alike. The intent of this session is twofold: 1) to open the minds of attendees to the perspectives of the audiences they serve, and 2) to learn, through the course of dialog, the techniques and best practices of creating a world-class customer experience. Whether your site is carrying corporate information, delivering content-based products, or selling goods and services directly online, you have to be able to be found to be successful. The exploding fields of online marketing, search marketing, search engine optimization, and social recommendations are all producing rapid-fire innovations in web site findability and commercial targeting. In this session, the panel of online marketing experts and search specialists present some of the most current ideas about attracting and converting audiences, and suggest practical ways to implement them on your site. The number one requirement for audience engagement is language. We can’t engage our audiences if we don’t communicate in their preferred language. Leading practitioners show how they are addressing the significant challenges associated with managing global content for multiple websites in multiple languages. This session will review case studies from two organizations which have demonstrated the ability to increase sales via personalization and online engagement. The presentations will highlight the business needs and challenges of each organization, describe their approach/solution, and review their results as well as the lessons they learned along the way. E6. Gathering Customer Intelligence – Are Listening to Your Customers? In order to be persuasive, one must first be perceptive. The perceptive layer, or customer intelligence layer, of a web property is a key component of successful online engagment. This session will explore the use of social analytics to measure customer engagement, brand perception, market reach, social sentiment, etc. It will also review the best practices of how to integrate the volumes of this social data back into search engines and their relevancy ranking systems in order to improve user experience, personalization and ultimately ROI. With all the talk about Customer Intelligence Engines, Audience Engagement Frameworks, perceptive and persuasive content, etc., what can the average organization do to implement such capabilities? This educational session will review many of the techniques that organizations can use to personalize content in a manner which will engage their audiences and improve ROI. Businesses who sell online have long had the goal of converting their users from tire-kickers and price-shoppers to loyal brand communities. The most successful brands today are focusing heavily on creating user experiences that are more compelling than their competition, and making the intelligence behind delivering that premium experience a corporate competitive advantage. Join this panel of e-Tail and e-Commerce experts as they discuss the techniques behind successful user interactions, from understanding user intent to offering the most exciting discovery environments. The capabilities of Online Marketing platforms and Web Content Management systems are beginning to converge. Similarly, the roles of marketers and content managers are overlapping more and more as marketers begin to take ownership over all web site content. Using real-world case studies, this session will explore the ways in which marketers utilize WCM strategies to manage content both within and beyond the bounds of their web sites – including the use of social media. It will also identify the features and functions that are most important to online marketers, those which aid them in increasing engagement and measuring effectiveness. Much has been said about how open source collaboration suites can be deployed to support communities in flexible, interactive environments that expedite connections within and across organizations. This session asks what makes open source offerings desirable, are they all that different from commercial platforms, and how do you best use them to channel the flow of information and solve business problems? Several implementers will take us inside their community development processes and also discuss how open source principles contribute to their innovative collaboration solutions. As organizations adopt social computing tools and social approaches to business, new opportunities and challenges are emerging in traditional collaboration and content management. How can you manage new types of content such as wikis, blogs and podcasts? How do you enable folksonomies to co-exist alongside taxonomies? How do you enable communities vs. teams? And how can you drive content compliance through usability? In this session we’ll discuss these and related topics using examples from Microsoft, our customers, and our new 2010 products. You’ll come away with thought-provoking ideas and examples of how to blend together modern collaboration solutions that exploit social and content capabilities which users, executives, and compliance officers can all love. The need to collaborate and share content across firewalls has grown significantly as business becomes more of a networked activity. Knowledge workers are increasingly turning to collaboration and content management tools that are located in the cloud to work with others outside of their organization. This session explores some of the use cases and value propositions associated with cloud-based, content-centric collaboration services. C4. Social Analytics: The Key to ROI in Enterprise Social Software? One of the largest inhibitors to the adoption of enterprise social software has been the inability of advocates to offer currency-based business cases, either pre- or post-deployment. This session examines how analysis of social software usage data can help to produce credible demonstrations of ROI in enterprise social software. Recent announcements from Microsoft, Google, and Yahoo! about access arrangements to data feeds of social content from Twitter, Facebook, and OneRiot is bringing real time information from microblogs and social networks into the results lists of major Web search engines for the first time. The arrival of real time content on the largest search sites represents a significant milestone in the development of Web 2.0 and an important strategic initiative for the web search giants and social sites alike. This session will explore the accelerating convergence of social content and search, and identify how this trend will impact everything from a business’s online marketing strategies to the contents of its employees inboxes. Some organizations have deployed enterprise social software to address both external and internal use cases, but few have created linkages between the two. This session uses customer case studies to demonstrate the business value created by integrating external and internal social collaboration efforts and to highlight some of the related challenges. Gilbane research shows that lack of collaboration is a major barrier to more effective content globalization practices. Managers and operational champions recognize this, but struggle to break out of departmental silos (such as web operations, technical documentation, sales and marketing, and customer support). This session helps attendees identify a starting point for better collaboration. Topics include where organizations benefit by sharing content and language assets, when to make the leap across silo boundaries, and how to institute effective business processes that span departments. This session is produced in collaboration with Localization World. The release of SharePoint 2010 is not far off (apparently, May 12th). If you haven’t already looked into it, now is definitely the time to start. This session will provide multiple viewpoints on implementing SharePoint. Microsoft SharePoint boasts a large and quite diverse “ecosystem” of consultants, integrators, and add-on software vendors. For customers, though, this landscape can be very confusing. Who are the key players? what sort of supplementary tools do you need? What are the pros and cons of going outside Redmond for key services? How does SP 2010 change all this? Tony Byrne from SharePoint Watch (a service of the Real Story Group) will try to answer all your questions. Is your organization’s multilingual content delivering the business results that you and your colleagues, managers, and executives expect? You’re not alone if you can’t answer that question. Credible, measureable insights into what content is working and what’s not remains the practice of magicians and shamans at most organizations. Fortunately, content metrics can less black art and more science. This session looks at new tools and technologies that enable you to develop the metrics you need to align your content practices with business objectives, measure the impact of multilingual content, and get funding for investment in content globalization infrastructures (people, process, and technology). Michael Martyn, President, Enthink, Inc.
With the upcoming release of the lastest versions of SharePoint and Office, many firms are taking a new look at their search strategies in light of the changing offerings from Microsoft. In this session, leading Sharepoint experts will discuss the new look of search in SharePoint and offer their guidance about how to go about building a search strategy that makes sense in light of the goals of the business, the many search systems installed, and the future directions in the technology. The Cloud is emerging as a powerful strategy for creating and managing content assets that provides advantages over locally hosted content. Universal access to content provides flexibility for organizations with distributed content creators, processors, and service organizations. Deployment of software and content is greatly simplified. Even investment in client and processing platforms can be significantly reduced by hosting your content and systems in remote, secure, robust environments. This session examines these advantages and strategies for content creators and managers working in the Cloud. Deploying open source content management systems requires thoughtful planning and a strategy for success. A new generation of content-enabled application platform is then appearing and will rapidly become the new way to develop content composite applications. This session examines the direction open source content management tools are taking and will aide in planning for future implementations. Too many teams that deliver information focus on delivery to the exclusion of their information. They pursue a technology strategy with no corresponding information strategy. Using work the speakers have done at a variety of commercial, nonprofit and educational organizations, they will talk about how you can use an information strategy and analysis to complement the information systems approach your team uses. We will discuss: how an information strategy matches business goals, user needs and information structure, how information structures bring value to both the business and the user, and how to begin creating strategy and structure in your organization. The session also looks at the nature of content and how we may need to change its development, management, and delivery to survive in a “Web 2.0” world, and what that means for forward-thinking information architects and content curators. Everyone believes that information is power, this session will help you start harnessing that power. The session will be especially useful for project teams comprised of IT and information managers. Open Source tools are dramatically changing our perceptions of software and how we invest in tools for content creation, management and delivery. Open source tools are created more cheaply by a broad team of developers, but also may require strong support organizations to make them work, so they are never free. This session will examine effective strategies for evaluating and deploying open source content management tools. We are seeing the emergence of a new class of both enterprise applications and web-based businesses in which semantic technologies play a core role in delivering value to the user. These new applications are based on analytic intelligence about the nature and context of the information at play in their domain, while at the same time taking the intentions and context of the user into account. In this session, you will hear from leading practitioners about how they are engineering content enhancement, semantic search techniques, and contextualized user interaction designs to deliver smarter products and services to users. Robust content can drive many processes designed to realize savings in time and costs and enable high quality, accurate information. Building robust content requires an understanding of the business drivers for your content and the systems that are used to create and manage it. Migrating legacy content to a robust environment will entail adding detail and value to the content before it can enable these benefits. This session focuses on the challenges and goals for creating robust content. Content technologies are never static, are always evolving, and can be surprising. Businesses endeavor to attempt the next new strategies to better meet their objectives. This session focuses on some leading edge concepts and approaches to creating, managing, and delivering content that support these new and bold initiatives. Gilbane coined the term “multilingual multiplier” to refer to those costs that are solely related to formatting content for delivery to customers in multiple languages. Commonly referred to as “desktop publishing costs,” they are a symptom of language afterthought syndrome – that pattern of treating language requirements as secondary considerations within content strategies and solutions. Learn how to eliminate the multiplier effect with holistic approaches to content, translation, and publishing systems and processes. Jeff Kennedy, Manager, Engineering Information and Systems, Club Car, Inc.
Kindle, iPad, netbooks, Blio, Skiff, smartphones—not to mention new e-reader devices announced too quickly to track—offer enterprises many options and many more questions about mobile content device value to business. This session presents a quick overview of the current state of art in mobile content devices, and lively discussion about enterprise applications from a panel of device makers. The years of development of content technologies within the enterprise have resulted in capable metadata-driven content management platforms that give publishers the means to be media-neutral and operationally efficient from publication planning through to delivery of content to customers. Two case studies provide real-world examples of how leading publishers are embracing this evolution. This interactive panel discussion will take up several high tech and software companies’ experiences in heading towards and implementing DITA. Representatives from NetApp, VMware and FICO will compare and contrast their learnings in heading down the path towards DITA. They will share what they have learned and best practices they have developed in implementing DITA. They will also share their vision for what they still have left to do and their vision of where they want to be. Topics will include how to: organize writing teams, get writers motivated, develop information architecture, use conditions and variables, attack development of stylesheets, integrate with software development organizations and set goals for the future. This fast-paced workshop led by CMS Watch founder Tony Byrne will help you understand the broad but converging marketplaces for Web CMS, Collaboration, Social Networking, and Web 2.0 technologies. Tony will sort out the key players and business models, and offer you a roadmap for deciding which types of technologies and vendors provide the best long-term fit for your needs. How mature are the vendors? Are there other questions you want answered? Feel free to send them to Tony at tbyrne@cmswatch.com, so that he can weave them into the workshop. Or, simply bring them that day. Hope to see you there. We are all intrinsically aware that a strategic plan is an critical component of any successful intranet, but most organizations tend to ignore their inner voices and jump in headfirst without one anyway. Unfortunately, this is a recipe for underachievement, and potentially disaster. Maybe it’s the process: the manner in which an intranet team arrives at such a plan can be excruciatingly long and painful… Or, it can be relatively straightforward (and some might even say “fun!”) if you know what you’re doing. By the time you leave this workshop, you will definitely know what you’re doing. 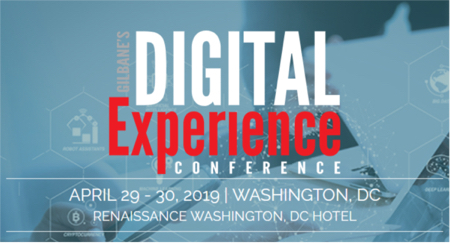 In this hands-on workshop, Gilbane’s Sr. WCM Consultant, Scott Liewehr, will guide participants through the production of an actual Intranet Strategy for a faux company. In cooking-show fashion, Scott will define the ingredients of an actionable strategy, and then lead the group through various exercises to develop all the core elements. To be able to put their learnings into action when they get back to the office on Monday! Smart content holds great promise. First with SGML and now with XML, we are marking up content with both formatting and semantic tags, and adding intelligence to electronic information. Using richly tagged XML documents that exploit predefined taxonomies, we are developing innovative applications for single source publishing, pharmaceutical labeling, and financial reporting. By managing content snippets in a granular yet coherent fashion, these applications are revolutionizing our capabilities to meet business needs and customers’ expectations. What’s working and why? What are the lessons learned from these innovative applications? Does the rapid growth of web-based collaborative environments, together with the wide array of smart content editors, provide the keys to developing other business solutions? There are many promising approaches to tagging content while doing work. Yet we still face an uphill battle to smarten up our content and develop useful applications. We will discuss both the rapidly developing technologies available for creating, capturing, organizing, storing, and distributing smart content, as well as the organizational environment required to manage content as business processes. We will identify some of the IT challenges associated with managing information as smart content rather than as structured data, and map strategies to address them. We invite you to join the conversation about how best to exploit the power of XML as the foundation for managing smart content across your organization. Let’s all admit a few things: Some men actually use skin care products. A good number of women read Maxim magazine. We all leave our empty popcorn boxes under the seat at the movie theater. And, guess what – none of us ever actually go back and measure the ROI for software that we purchase. Every vendor you’ll speak with promises you the magic end-of-the-rainbow “Return On Investment”. They offer calculators, spreadsheets and complex algorithms promising that if you just put in the “right” numbers, you’ll see that their software isn’t so expensive after all. But somehow after putting in your estimated hours in the spreadsheet – and the hard costs of hardware – you feel empty. Unfulfilled. And, by the way, the reason none of us ever actually go back and measure the ROI of any enterprise software solution is because we’re deathly afraid of the answer we might get. What if, after all that money and time, we actually didn’t save any money? In today’s economy, you’ve got to make smart purchasing decisions – but calculating ROI on any CMS by concocting some stew of “time savings” and “estimated CPU’s” and “upgrade fees” and “future employees we don’t have to hire” etc.. is a recipe for disaster. Let’s discuss the right way to create a business argument for a shiny, new CMS – from both a “Total Cost Of Ownership” (TCO) and ROI perspectives. Understand and define the details of the “what” we’re exactly investing in. What are the right questions? Outline the process for defining what “success” looks like. What are the right answers to the question? Then, we’ll walk through an interactive case study together – a company that thinks it needs a WCMS system. Let’s walk through their current situation and see if they really do? As a result of this workshop, participants should have a good handle on how to develop their own ROI argument for a CMS initiative. These are exciting and challenging times for the Content Management industry – vendor consolidation, fundamental changes in the way people engage, the ubiquity of tools like SharePoint, the debate over the very definition of what makes a CMS – all as the discipline of managing content matures and emerges from IT. We get the ball rolling on the pre-conference workshops with representatives from the CM Pros Board (including Scott Liewehr and Ian Truscott) and leading guest speakers (including Lisa Welchman) to look at the big picture of what it means to be a CM professional today. We’ll take a look at the trends and offer our perspectives. We’ll also be revealing the results of our survey, ‘CMState’ – where we’ve called upon the 13,000+ members of the CM Pros extended community to tell us what’s really affecting them, their organizations and their industry. We believe it to be the first and largest survey of content management professionals of its kind. We won’t just be talking about the technology, the vendors and the strategies, but also about our profession – what it means to be a content management professional. We’ll talk openly about our industry, and how the CM Pros organization can help and what we have planned. As our industry moves and reinvents – so must we.